I know Avengers: Infinity War is probably setting world records for the amount of secrets covered up at this point, but this one is absolutely ridiculous. 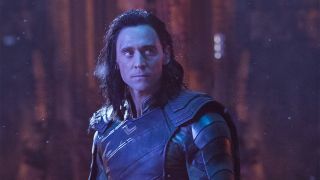 Not only was a fake script circulated revealing Loki having a considerably less dramatic first act, but no one thought to tell half the crew that the dummy script was actually not real. I guess ignorance really is bliss. So far, so very normal. For Marvel anyway. Paul Bettany has already told us about how fake scripts were given out and, as Loki dying at Thanos’ hand was a pretty dramatic moment to kick off the movie, it’s a given that everyone would want that to be kept under wraps by swapping it out for a low-key moment. And, no, I’m not apologising for that terrible pun. I have a lot of questions about that process. But not as many compared to the ones we have about Avengers: Infinity War ending.